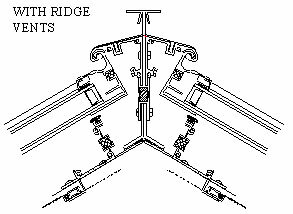 Ridge cresting is designed to adorn the highest point of a roof. The gilded age in America brought the popularity of ridge cresting to states. The mansions of the "robber barons" were fitted with every decorative element imaginable. Ridge lines of these homes were fitted with ridge cresting which assisted in displaying the grandeur of the homes. 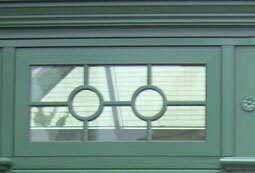 The industrial revolution helped reduce the price of ridge cresting and the ornamentation began appearing on middle class homes and glass rooms. 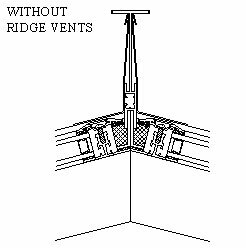 Ridge cresting is all constructed out of cast aluminum. 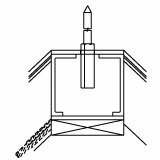 The cresting can be created to virtually any desired length. If your project requires only two feet or 240' feet, We can supply the required amount. Various designs are available, all created with historic looks. 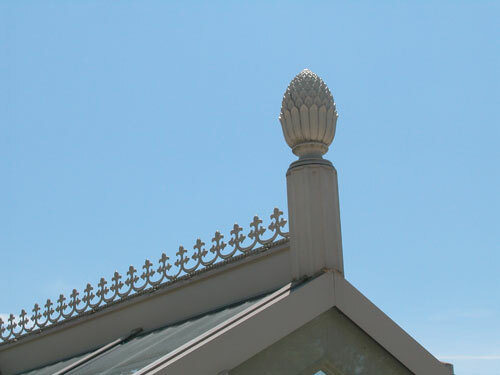 Old English greenhouses and historic homes were studied for the creation of the best ridge crest design. Style 54 mimics the French fluer-de-lys. Style 66 is inspired by vineyards of Italy and vine designs found on ancient pottery. Style 59 is the most modern of all the designs. This has a light weight airy feel to it, perfect for a contemporary home or glass building. Style 07 is reminiscient of the artdeco era with its smooth edges and precise corners. Cresting CA000054-00-00 5 3/4" height 14" length Style 54 mimics the French fluer-de-lys. Cresting CA000059-00-00 9 1/2" height 14 3/4" length Style 59 is the most modern of designs. 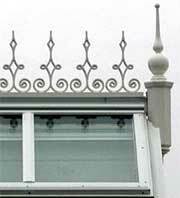 Cresting CA000005-00-00 9 3/4" height 34" length Style 05 is gothic revival.